Hangzhou Haobo environmental protection equipment Co. Ltd is Beijing Shengda LIAN energy-saving environmental protection equipment manufacturing company limited branch of the Yangtze River Delta region. 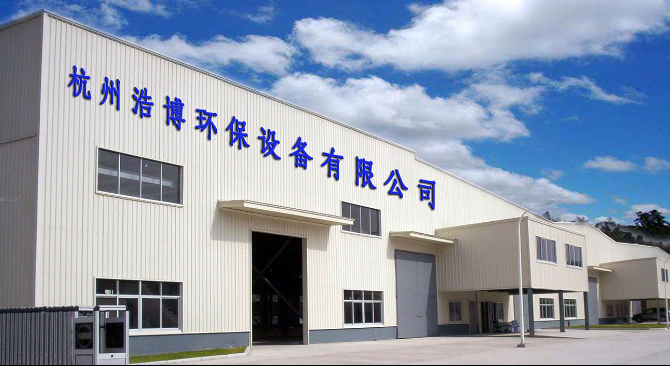 Is a commitment to environmental technology development, environmental protection equipment manufacturing, environmental protection engineering design and engineering contracting in one of the integrated production services manufacturers. The company is headquartered in Beijing, and in Shandong, Jiangsu and Hangzhou production base, product agents and governance projects throughout the country.Is committed to user tailored the most advanced and economical environmental protection and energy saving solutions. Provide optimization consulting, pollution field working condition investigation, system analysis, whole upgrade scheme design, service maintenance and so on. According to the working environment and pollution concerns, hoppt providing products and solutions to reduce business costs, reduce business risk, reduce pollution emissions. ?Take the comprehensive management of the line, and fundamentally solve pollution control.Since its inception the company has always focused on governance, industrial emissions, industrial dust and other environmental pollution, has developed a HOBO-MC-4000 pulse dust purification equipment, HOBO-WB-4000 wind power (no pump) paint mist washing cabinet, HOBO-UV light catalytic oxygen gas treatment equipment, HOBO-GL ion photolysis waste gas deodorizing purification equipment HOBO-SX-4000 water vortex type automatic paint washing cabinet environmental protection equipment. Companies adhering to the "science and technology to create a green environment, science and technology for the benefit of the human spirit, set up a technology development center, to establish long-term cooperative relationship with many universities and research institutions dedicated to environmental protection, malodorous gases, industrial waste gas purification and energy saving product exploitation, together !